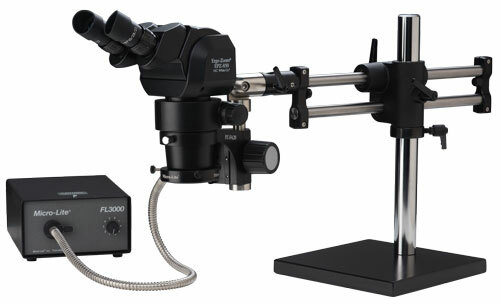 The Ergo-Zoom® line of microscopes is the new standard bearer in production microscopy. The Ergo-Zoom® series is the first in O.C. 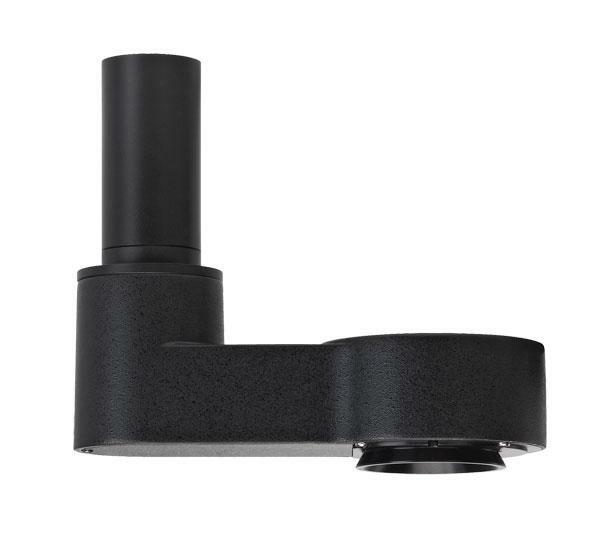 White's history to employ the Common Main Objective optical design, which is superior for a few reasons. 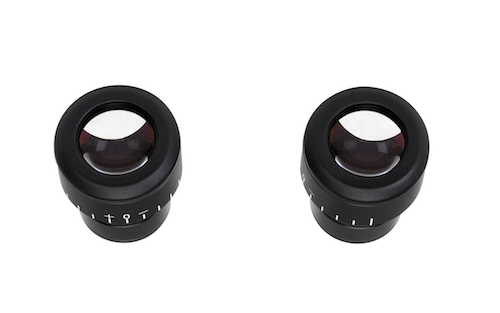 It allows for a much flatter field of view, as well as larger, clearer depth of field. In O.C. White’s case, all models feature 0-35° ergonomically adjustable eyepieces standard. 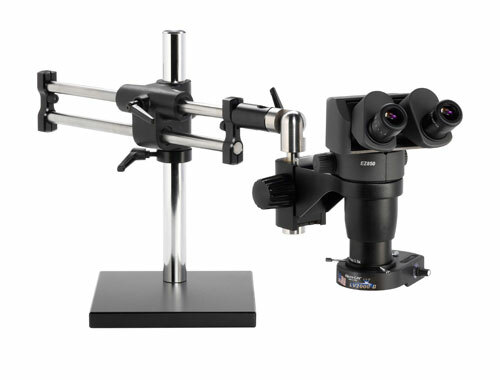 All models are ESD Safe, and come in three magnification levels. 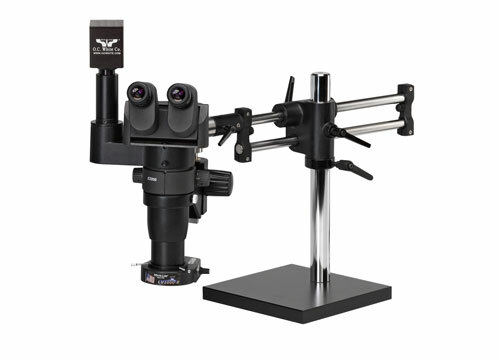 Trinocular variations are available in either High Definition (1920x1080 HD Camera with 22" LED Screen) or NEW 5MP Digital with Advanced Imaging & Measurement suite. 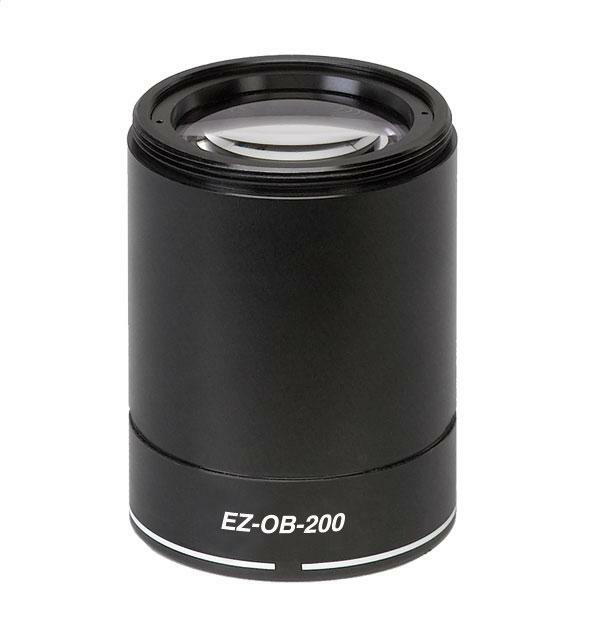 The standard model is the EZ850, which has an 8-50x range (up to 200x with options). 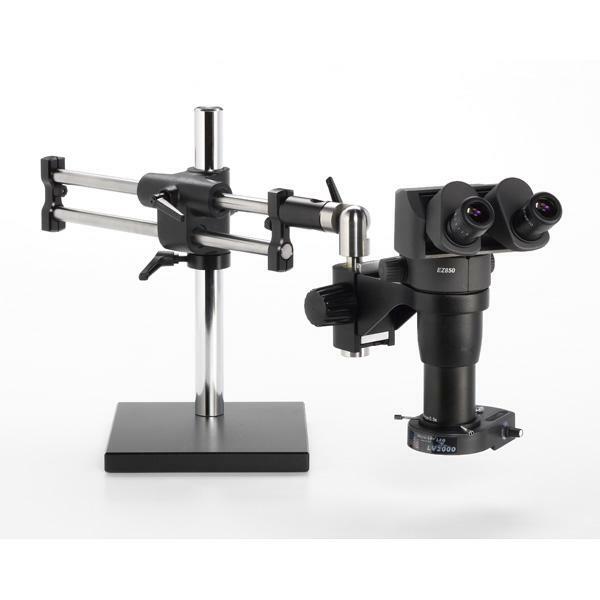 You also have the option of adding a trinocular beam splitter to this model, should the need for video documentation ever arise after purchase. 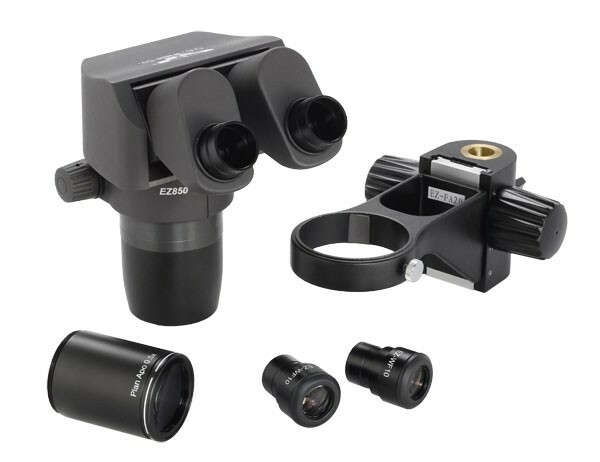 As this is a modular design, the trinocular splitter simply installs in-line of the eyepieces and zoom body. 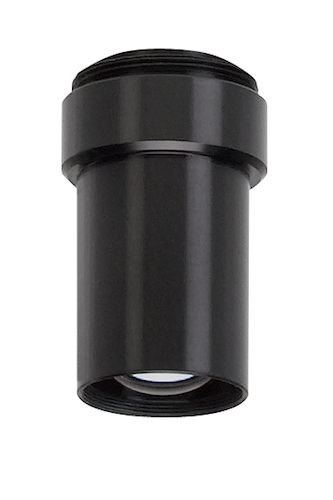 This is also a true trinocular, which means you do not lose any eyepiece functionality during trinocular inspection (unlike some other manufacturers). 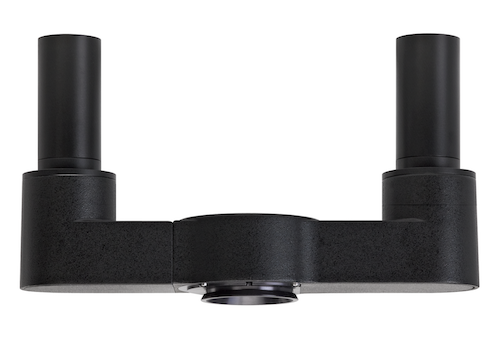 The next step up is the EZ865 model. 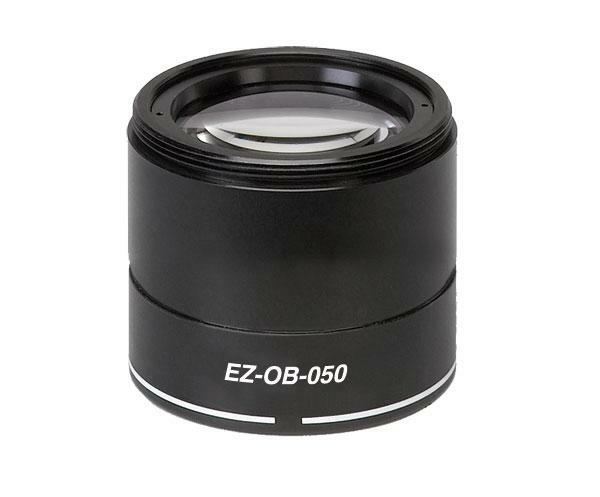 This features a zoom range of 8-65x standard, with the options to take you all the way up to 260x. The same trinocular provision can be added at any time. 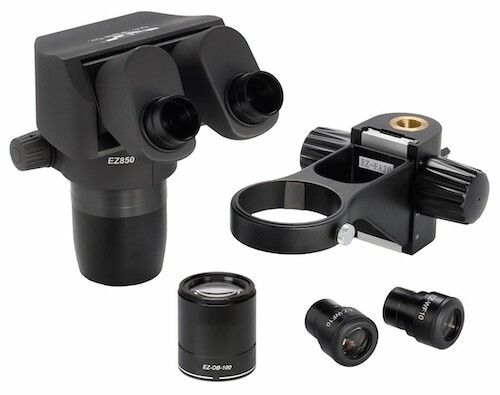 The top magnification model is the EZ880. 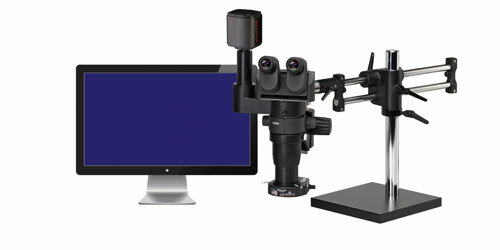 This microscope features a standard magnification range of 8-80x, with scalability all the way up to 320x. Trinocular provision is also available. No matter if you are in electronic production, medical manufacturing, or any other industry, you will be tough pressed to find a higher performance, lower cost unit with all of the functionality and features that the Ergo-Zoom® series offers.